The Court of Appeal has heard today that the file of the jailed Tabliq leader, Amir Umar Mohammed Yunus Kamoga has been forwarded to police. Sheikh Kamoga is seeking to be released on bail citing advanced age and illness as he awaits hearing of his appeal. State prosecutor Lillian Omara on Wednesday told court that the file was forwarded to police in order to verify the cleric’s sureties and affidavits before the State can respond to his bail application. Court also heard that DPP wants to also verify whether the Court of Appeal has prepared the proceedings and set the hearing date for the appeal in which Sheikh Kamoga is challenging his sentence of life imprisonment. Sheikh Kamoga appeared before Justice Christopher Madrama amidst tight security to have his bail application heard. However, it was adjourned to May 2 to enable the DPP prepare his reply to the bail application. 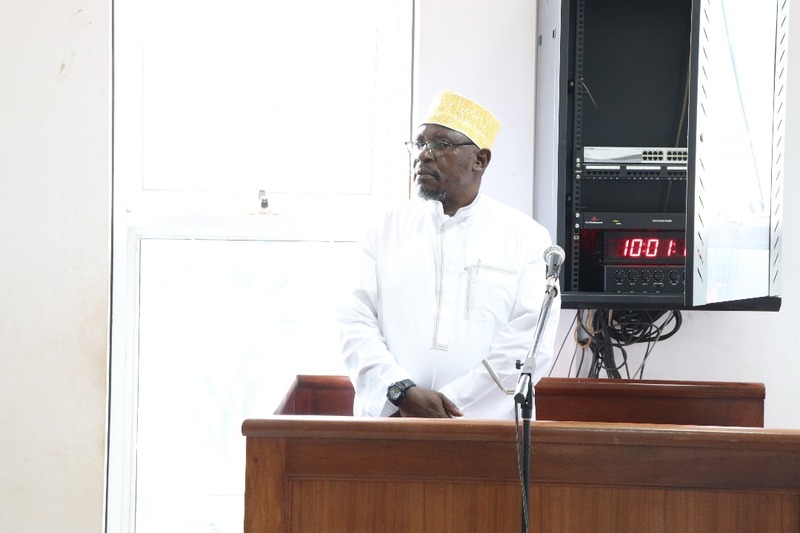 In the application filed before the Court of Appeal, Sheikh Kamoga, 60, states that he is ready to fulfill all the conditions set forth by the Court of Appeal on granting him bail because he is of good character as well as a law abiding citizens. Through his lawyers, the Muslim cleric claims that it is in interest of justice that bail be granted to him because his appeal has a high possibility of success since no murder was ever proved against him at the trial court. Last year Sheikh Kamoga was sentenced to life imprisonment after he was convicted on the offence of terrorism in connection with killing of fellow Muslim clerics. The International Crimes Division (ICD) Court jailed Sheikh Kamoga jointly with five other Sheikhs; Siraje Kawooya, Murta Mudde Bukenya, Fahad Kalungi, Yusuf Kakande alias Abudalla and Abdul Salam Sekayanja.